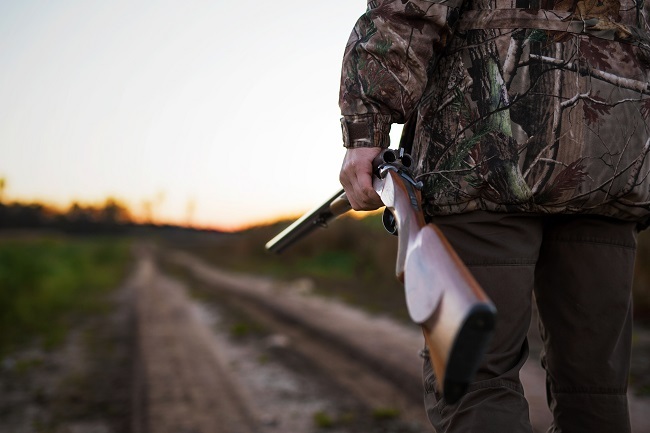 If you spend a lot of time in the outdoors, particularly during hunting season, you probably consider yourself fairly knowledgeable. However, there are a few, simple tricks you might not know that can make your season even better. Human noses have an evolutionary ability that we adjust to smells we’re exposed to all the time. It’s why you sometimes need to have someone else tell you that you have bad breath. However, if you’re hoping to sneak up on animals on their home turf, your scent will give you away from a long distance. As such, you should “scrub” the civilized scent off of you. Don’t use scented soap, shampoo, or aftershave. Leave your gear in the woods, or if that’s not feasible, pick it in a plastic bag with dirt, leaves, twigs, etc. for a while until that’s what your gear smells like. You can even boil debris from the place you’ll be hunting in, and then use the water as a kind of nature’s Febreeze to cover any human smells you’re giving off. How stealthy do you think you are when you’re walking in the woods? Again, the animals you’re looking for are keyed-in to their territory in ways we almost never are. So if you’re going to try stalking, put a half-full box of Tic Tacs in your pocket. If they’re rattling around, you’re going too fast. Slow it down, until you forget you have a box of mints in your pocket. That’s about the pace you should be using. We tend to put our boots upright when we finally take our feet out of them… even if we soaked them in the stream earlier that day. Don’t do that. If you have wet boots, lay them on their sides. This lets them dry faster, and it will cut down on the discomfort you have to deal with the next day. For more tips and tricks to help you get by on the hunt, simply contact us today! Antler Reproductions: Remembering A Great Hunt!